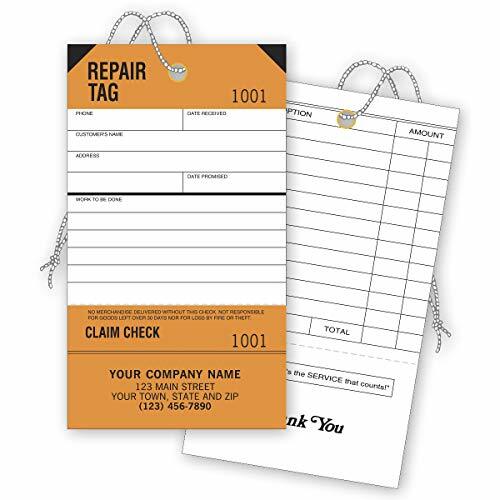 Compact, heavy-duty repair tags give you room to capture all the repair details. The claim checks are detachable with a pre-strung 7# string included. This is perfect for any type of repair from Vacuum cleaners, lawn mowers, snow blowers, appliances, bicycles, car, motorcycles ect. At CheckSimple, your satisfaction is 100% guaranteed. Not happy with your business check, deposit slip, or business supply order? No problem. Just contact us and we’ll take care of you!